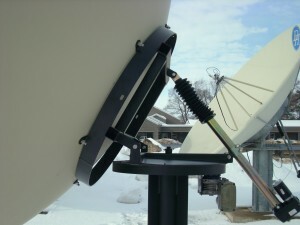 DH Satellite has produced over 500,000 Parabolic Prime Focus antennas in the past 20 years and developed proprietary equipment that is used to manufacture the parabolic antenna. 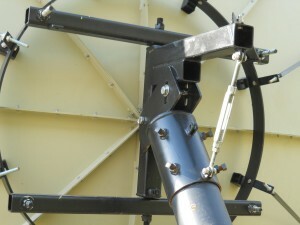 With this fully automatic equipment, DH Satellite is able to spin antennas from 2’ thru 16’ in diameter. All antennas are spun on either steel machined or special composite mandrels that allow DH to achieve the surface accuracy of better than a RMS .020 of an inch. The choice of material is aluminum, which gives strength, yet cuts down on the weight. DH antennas are used in various operations including \ broadcast reception, cable, educational development as well as other areas.